A desktop device that can quickly scan objects so they can be replicated using a 3D printer has gone on sale. 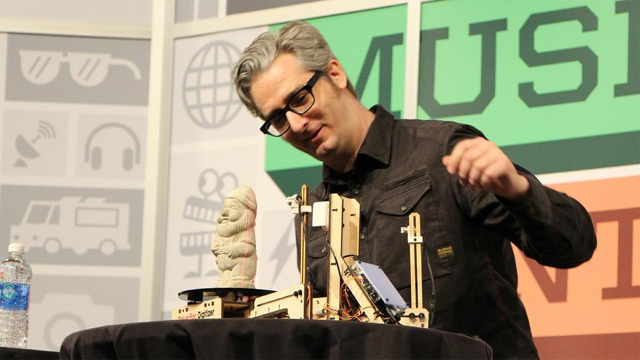 The Makerbot Digitizer, which costs $1,400 (£900), will be shipped to the first buyers in October. Demand for the machine appeared to overload the company's store when it went on sale on Thursday evening. The Digitizer is the latest product looking to bring 3D printing to mainstream technology users - but experts are sceptical. It works by pointing several lasers at the object and detecting contours in the surface. It also allows users to upload their 3D designs directly to Thingiverse, a website where 3D designs can be shared. The time it takes to scan an object varies, but one demonstration involving a small gnome was said to take around 12 minutes. 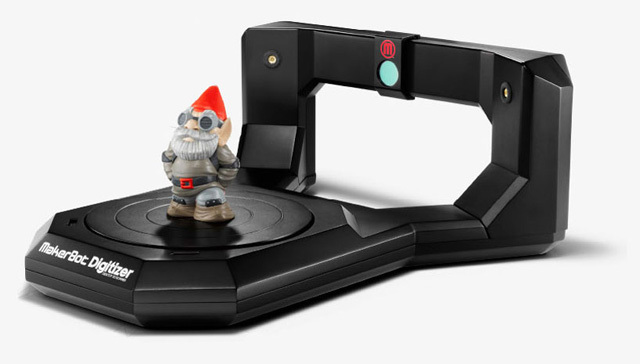 "The MakerBot Digitizer is for early adopters, experimenters, and visionaries who want to be pioneers in Desktop 3D Scanning," the company says. "This includes, but is not limited to, architects, designers, creative hobbyists, educators, and artists." However, Makerbot has made it clear that the scanner is not suitable for intricate designs and that users should not expect "too much" from the machine. Expectations should be realistic," the machine's FAQ page reads. "You will not be able to, for example, scan a hamburger and then eat the digital design. It adds that objects that are shiny, reflective, and fuzzy are not well suited to scanning. Despite the industry's hopes that 3D printing will be hugely popular in the near future, others have dismissed home 3D printing as something of a gimmick. "Appearances have become completely unhinged from reality when it comes to the mania created in so-called '3D Printing' stocks," warned influential investment analysts Citron Research.